came to the conclusion that all underdelivered on claims. other technologies in development,” the researchers reported. space is a critical gap for potential adopters,” they added. is not yet fully baked. transparency and privacy, she said. technology is more than niche. technology to the satisfaction of users, or ultimately fail and die out. cross-border payments to supply chain tracking. 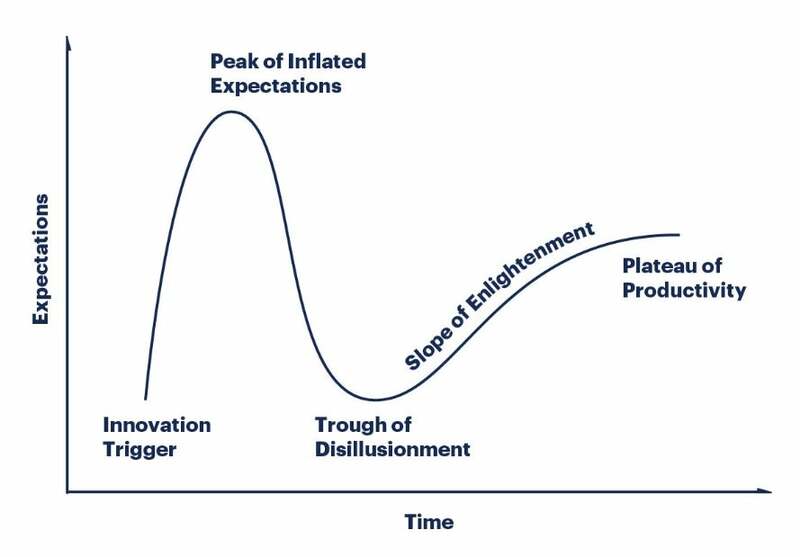 The post Trough of Disillusionment: Blockchain winter has come appeared first on P2P Foundation.